You’ve probably heard the term “global citizen” several times by now. Especially in our over-connected world, it sometimes feels like a necessity in how you identify yourself. For those that are unaware, a global citizen is someone who identifies with being part of an emerging world community and whose actions contribute to building this community’s values and practices. But what does it mean to be a global citizen? Throughout human history, we have always organized ourselves into groups and communities that share similar values, ideas, culture, and an overall identity. This, in turn, helped and still helps shape our needs economically, politically, religiously and socially. But in the 21st century, as the world has less physical and communication barriers, we’ve seen a rise in higher demand for global engagement, resulting in global citizens who crave a sense of belonging to a world community rather than a small, local one. In the classroom, students can start to face issues of global independence through an economics course, diversity of identities and cultures in a history course, sustainable development in an environmental science course and more. Classes that allow for varied learning methods such as debate and role-playing are becoming an increasing necessity for your basic school curriculum. As a result, students learn to become successful learners, confident individuals, responsible citizens, and effective contributors. All in all, this will allow students to explore, develop and express their own values and opinions. They will increase their listening and respecting skills of others and their opinions and be able to make informed choices that not only affect them but others as well. Thus, the future of the world lies in the hands of the youth. 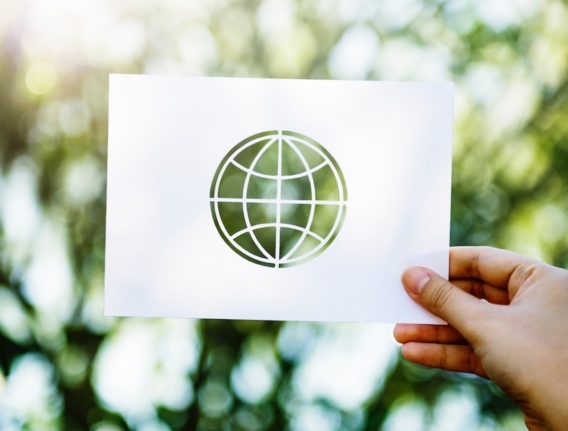 A global citizen is aware that we live in an interconnected web where many of our actions and choices affect those locally, nationally and many times even internationally. They are able to respect themselves as well as others, regardless of where they live. A result of thinking globally means you’ll see more people advocate for serious issues.Some of these matters could include human rights, religious pluralism, gender equity, the rule of law, environmental protection, sustainable economic growth, and poverty alleviation. Generally, a global citizen tries to have an understanding of how the world works and tries to stay well-informed. They participate in the community at a range of levels from the local to the global and are willing to act to make the world a more equitable and sustainable place. That’s where the youth comes in. With a global citizenship education, young people are able to solve problems, make decisions, think critically, communicate ideas effectively and work well with others. This not only helps them personally and educationally but eventually professionally as well. Thus, a global education in the classroom is paramount. You have several opportunities to be flexible, creative and proactive. EF Academy International Boarding Schools open a world of opportunities for high school students by providing them with a superior education abroad, thorough preparation for university and a future that knows no borders.